* This catalogue is for knitting and crochet patterns only. Downloaders receive a link to a downloadable pdf file of the pattern. 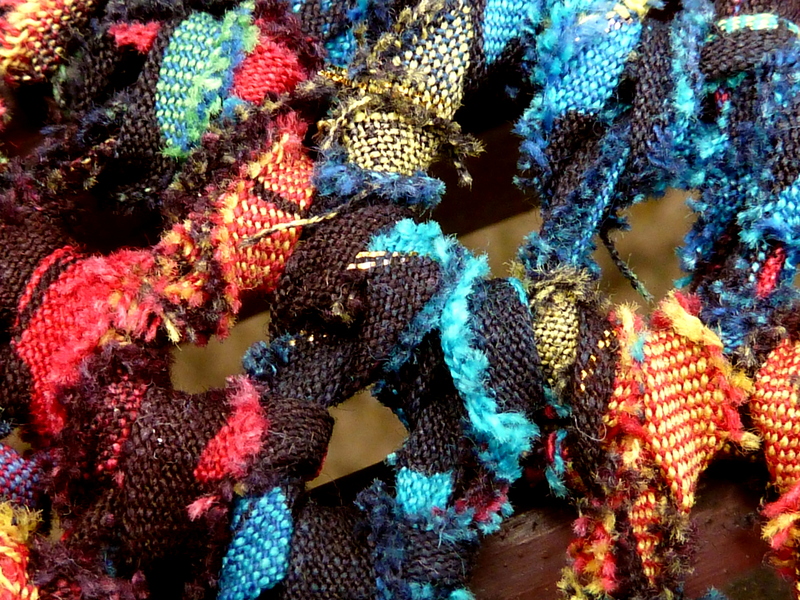 The pdf file is hosted by Ravelry.com. 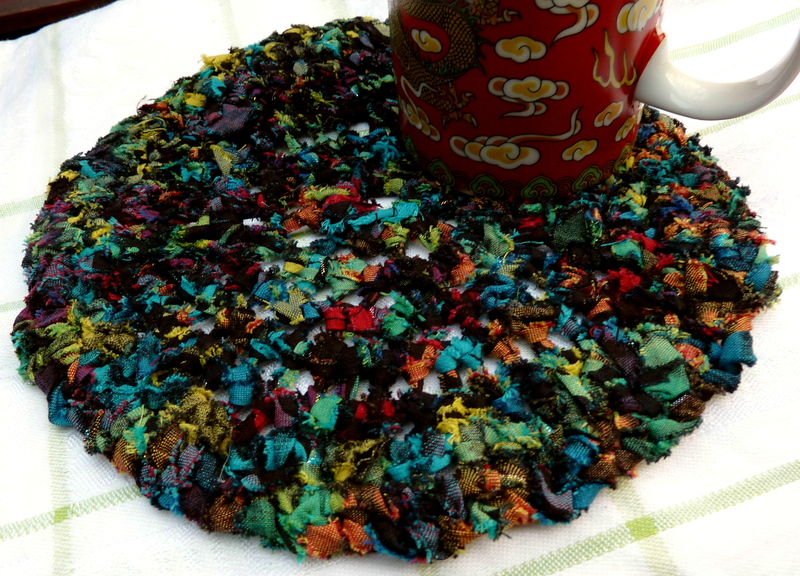 Artwork version: recycled, crocheted, circular, cotton-shirt-yarn table mat, using wrong side as top side. This pattern uses both UK and US crochet terminology. Conventional version: the same mat will look more conventional with the right side at the top, and perhaps contrasting ribbon woven through the stitches along the outside edge. Rag-yarn: Approx 29g or 32yd/29m of pure cotton shirt-weight rag yarn, cut into bias strips 0.25in/0.75cm to 3/8in/1cm wide. (Equivalent to about a third of the usable fabric in a man’s large shirt). Hook: – metric 6.5mm; UK and Canadian size 3; US size 10.5 (or size to suit your rag-yarn after swatching). Sewing notions to join strips of yarn when cutting, and for repairing broken yarn while crocheting. Note: any reasonable gauge can be adapted for this pattern (though the size would change); the sample in the photo has the following gauge.